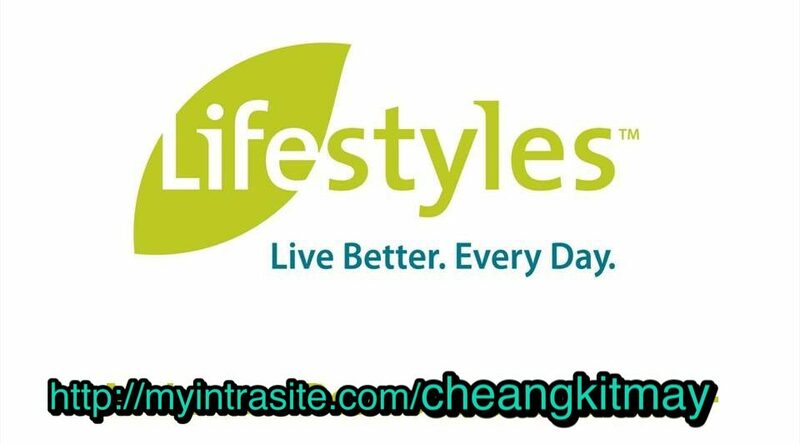 #Lifestyles Canada for close to 30 years now, has been striving in research and developing health supplements for your real HEALTH GAIN & MAINTENANCE! #INTRA for your fighting towards food and air pollution, energy and immunity boost of 23 natural plant-based products in ONE BOTTLE supporting your body’s 8 biological systems. #FibreLife a proprietary soluble fibre blend to maintain your blood sugar, cholesterol and control unhealthy weight gain. Intra & FibreLife, your solution for diseases prevention, on TOP of eating a healthy balance diet and exercise! Most importantly, STOP RELIANCE ON UNNECESSARY MEDICINE TO MAINTAIN YOURSELF! Try NOW and consume your healthy life back! Together with satisfied millions worldwide! Contact us & order your Lifestyles Products now! Feel free to leave your comments and Contact us for more info! Take charge of your Life NOW! Why delay young ones from processed food/ candies when you can introduce nutritional food habits such as INTRA? The real nutritional plant-based SOLUTION for OPTIMAL HEALTH! Many believed in instilling good habits and providing as much nutritional food to our young ones. Well, other than delaying or avoiding sweets and processed food, why not invest and teach better eating habits , such as introducing nutritional and natural plant-based health supplement like #Lifestyles #INTRA? Why do we say so? Intra could supplement, support and Balance our 8 biological systems which in turn will help our young ones boost up their lower immunity system faster and away from sickness, which is quite common in a lot of young kids. What are some of the sweet food or processed food? Read this interesting article published by Dr. Joseph Mercola, a U.S. doctor, at his Facebook. The article talks about how we might have feed our young ones processed sugar (with reward candies), and how we could best avoid feeding sweetened products. In our opinion, we could delay or avoid feeding such food to our babies in the hope of forming a sensible eating habit. However as the child grows, he might not be able to avoid such food while eating with peers. Our kids’ health will also be down if this habit somehow broken due to limited food choices (eating out) or lack of nutritional food supply (not all could afford to have home-cook food for every meals due to both working parents). Therefore instilling a sensible, nutritional eating habits and passing on proper health supplement and exercise to upkeep their health could better provide healthier growth. Let’s LIVE BETTER EVERY DAY! Contact us for more product info and testimonies sharing. Your Health is your strongest ASSET (WEALTH) ! With a Strong Healthy Body, your ASSET to strive for your career (wealth) and enjoy with your loved ones and friends! More time and possible financial freedom! Jump-start your health to a higher level with #Lifestyles Canada Quality Health Products and re-build your health (wealth) by having a healthier and balance body’s 8 Biological Systems, empowering you with greater happiness and vitality! How quality natural ingredients in #LifestlyesBetterTogether pack help you? STRONGER Immune System > keep you away from sickness. Fight against Food Pollution and Major Diseases, even Reduce Risk of Cancer! Start building your ASSET and Wealth, invest in your health NOW! FOLLOW our Facebook page and our Blog for more product info !